Get together with your family and friends to enjoy our new extravagant barbecue and seafood Sunday brunch in Bangkok at Cuisine Unplugged plus kid’s game corner. 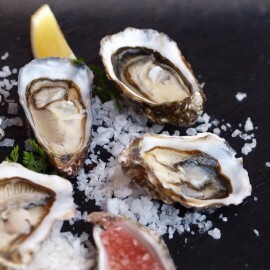 Offering the finest seafood bounty including French Snow crabs, Chinese brown crabs, French Fine de Claire oysters and barbecue seafood as well as beef Asado from the USA and Australia, and an impressive array of cuisine from across the globe plus free flow beverages including soft drinks, beers and wines. Every Sunday, from 12.00-15.00 hrs. 12.00 hrs.12.30 hrs.13.00 hrs.13.30 hrs.14.00 hrs. Free for children under 5 yrs. 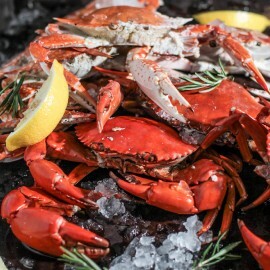 Make this Sunday a memorable one with unlimited seafood on ice including French Snow crabs, Chinese brown crabs, Tiger crabs, Blue swimmer crabs, Three-spot swimming crabs, French Fine de Claire oysters, Pacific oysters, river prawns, New Zealand mussels, rock lobsters plus BBQ Seafood. 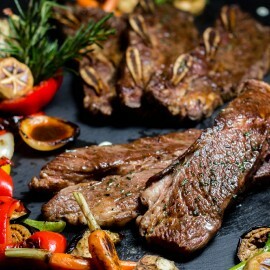 Aside from the succulent seafood bounty, discover beef Asado from the USA and Australia cooked in BBQ Latin American style plus exquisite Asian and European dishes such as Japanese sashimi, roasted pork knuckle, Thai signature dishes and an aromatic cheese selection. Our new buffet is prepared using all organic and Royal Project ingredients which makes your brunch a healthy feast like no other. Enjoy fresh garden salads and menus made with rice berry, yogurts and more along with our signature detox station serving healthy drinks. Guests are invited to pair their delightful brunch with free flow beverages including soft drinks, local beers and red, white and Sparkling wine from Wine Pub selection. 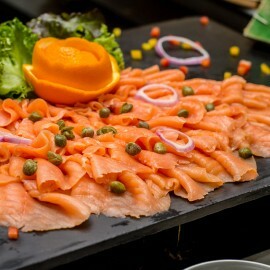 Wait no more and experience the best Sunday brunch in Bangkok this weekend!